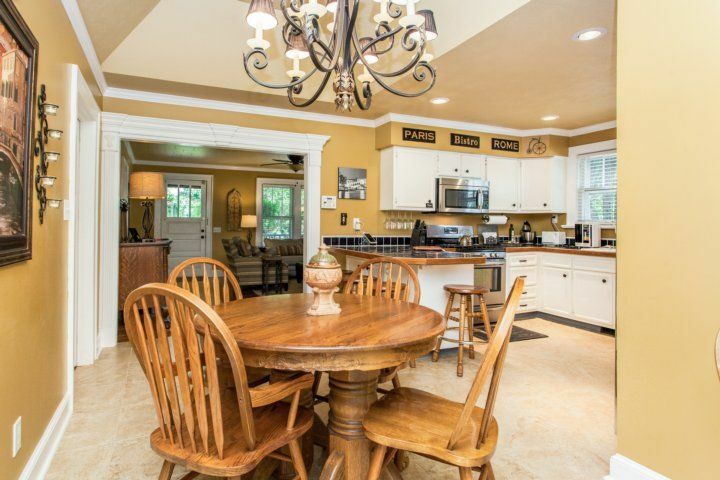 Close to downtown Hendersonville and half an hour from Asheville, this beautifully remodeled 3BR/2BA home features a spectacular private backyard and a luxurious master suite. 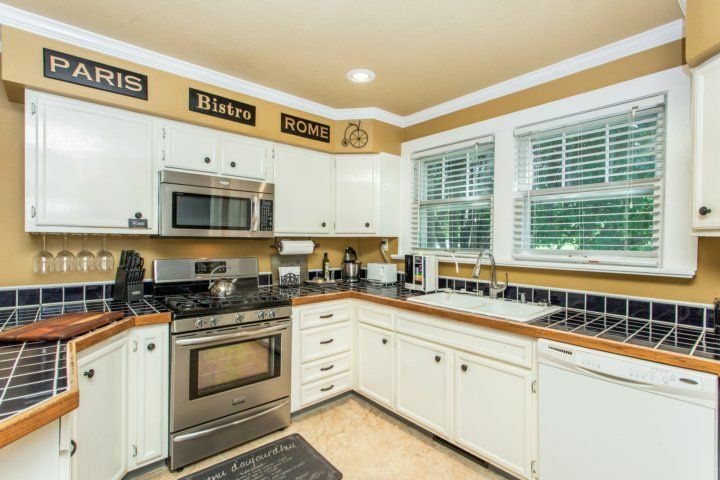 The open kitchen is perfect for entertaining, and the spacious back deck invites breezy al fresco meals. Kids will flock to the impressive playground. Coming in winter? Cataloochee Ski Area is just over an hour's drive from home. In summer, stunning Lake Junaluska awaits in 41 minutes. Explore Pisgah National Forest and DuPont State Forest within 15 miles of your door. 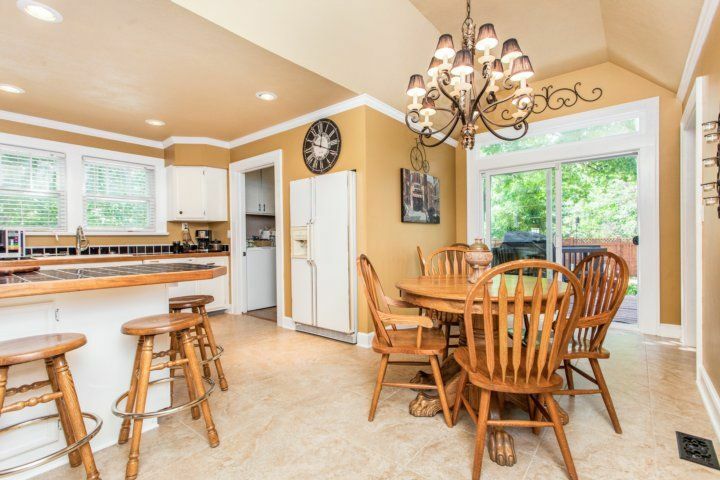 This newly remodeled home has vaulted ceilings and numerous outdoor areas to relax with your loved ones. 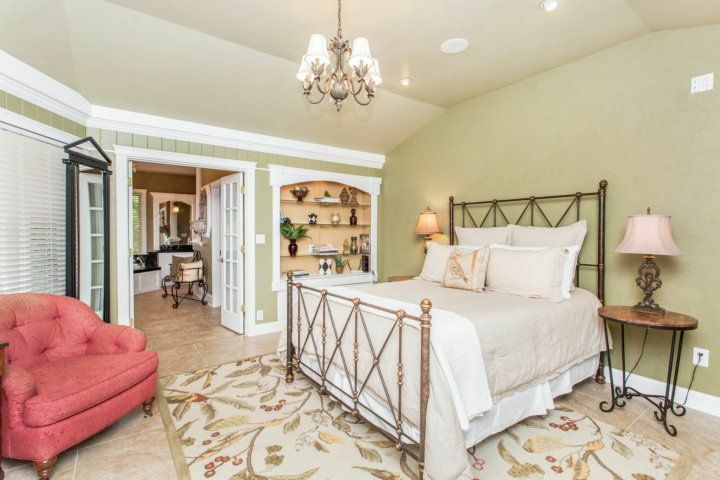 The master suite is an absolute sanctuary with a private bathroom fit for royalty. Two comfy armchairs and a sleeper sofa surround a leather ottoman in the stylish living room. Settle in for a Netflix movie on the Roku enabled 66? smart TV complete with a sound bar and DVD player. 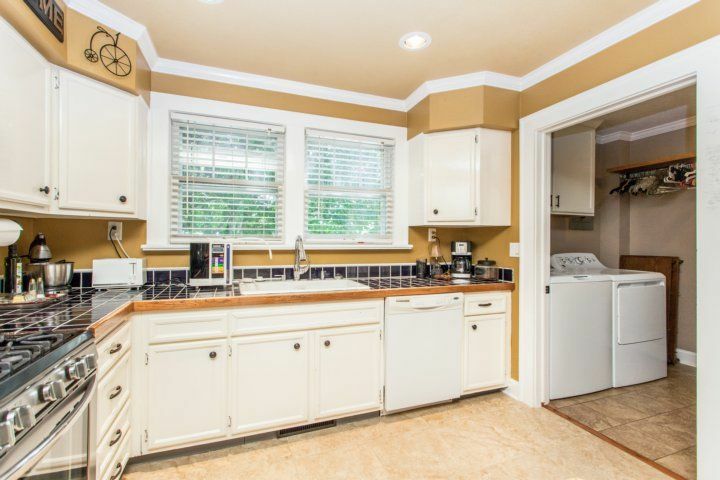 The four-person breakfast bar and open-concept layout make the kitchen ideal for entertaining. 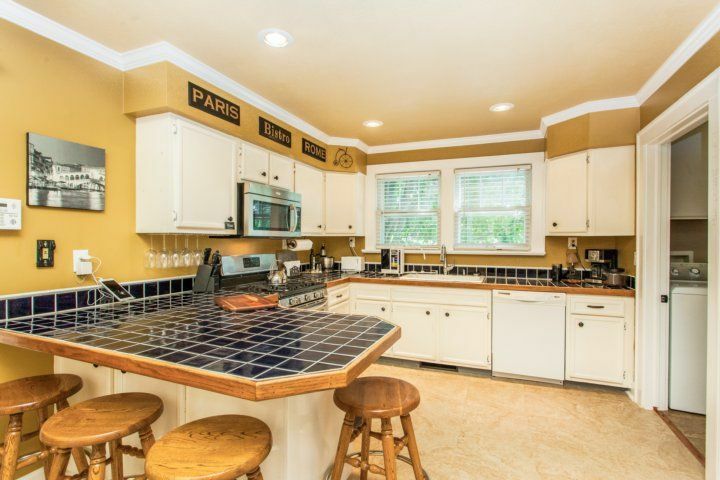 Dark blue tile counters complement a stainless steel five-burner gas range, and cabinets and drawers are stocked with every kitchen gadget an ambitious chef could need. An elegant dining area seats six beneath a striking chandelier. 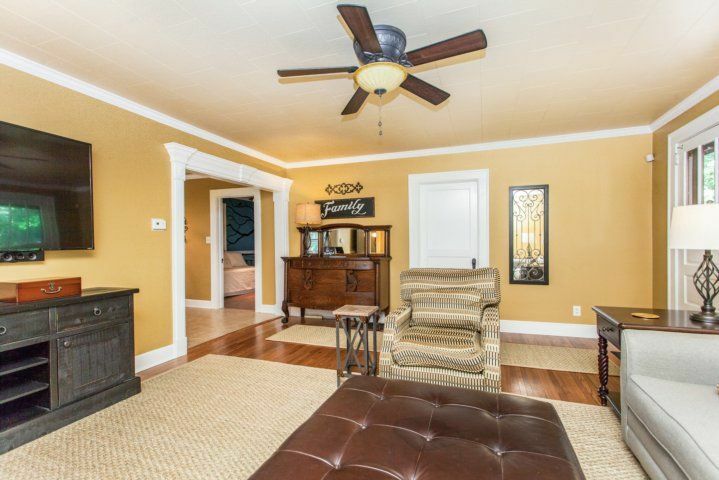 Your Henderson rental sleeps eight guests between the three bedrooms and a sleeper sofa in the living room. 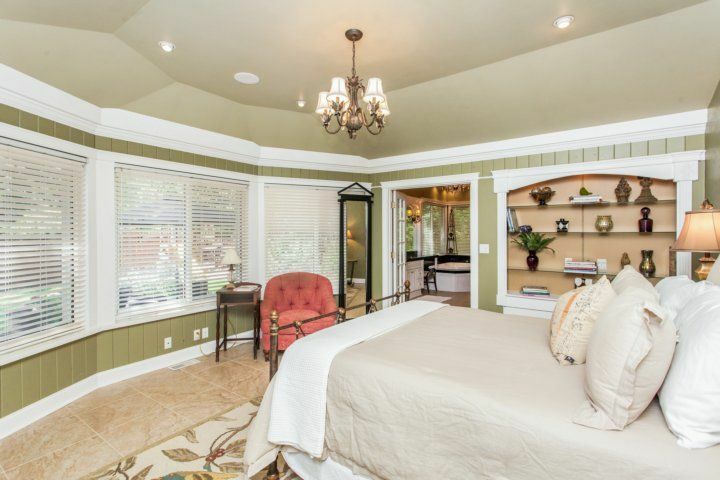 Big windows bring sunlight into the queen-size master suite. 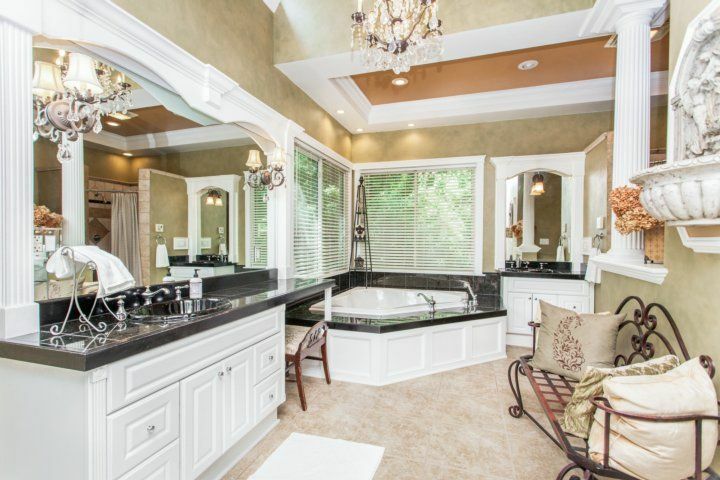 Step into the huge master bath to soak in a jetted garden tub or get ready at a seated vanity. 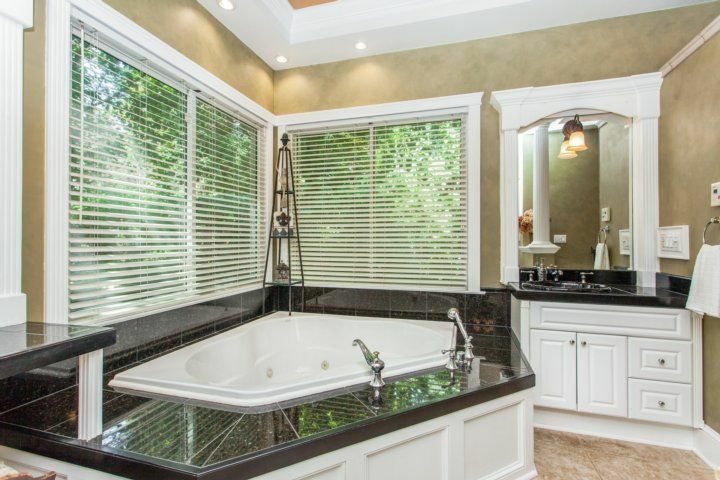 A walk-in shower with three shower heads, two sinks, and a chandelier round out the spa-like bath. The second bedroom has a queen-size bed and a Roku enabled 51? TV. 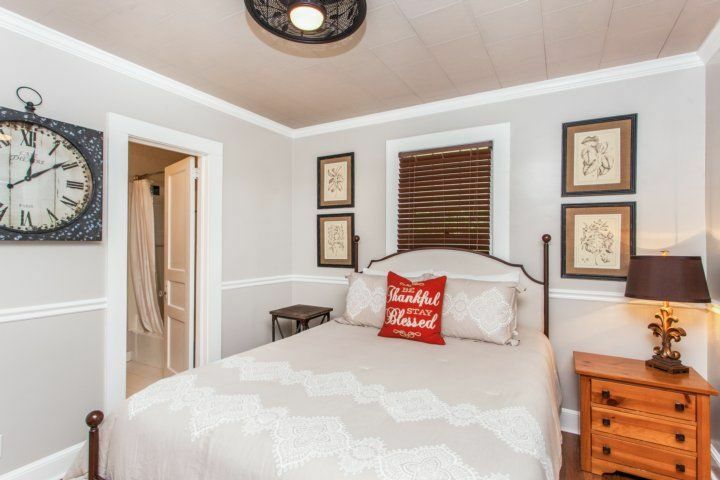 The third bedroom has a twin daybed with additional twin trundle, walk-in closet, and a 32? TV with Wii. The two guest bedrooms share an en-suite bath with a tub/shower combination. The shaded back deck has a grill, a dining table for four, and plentiful bench seating. 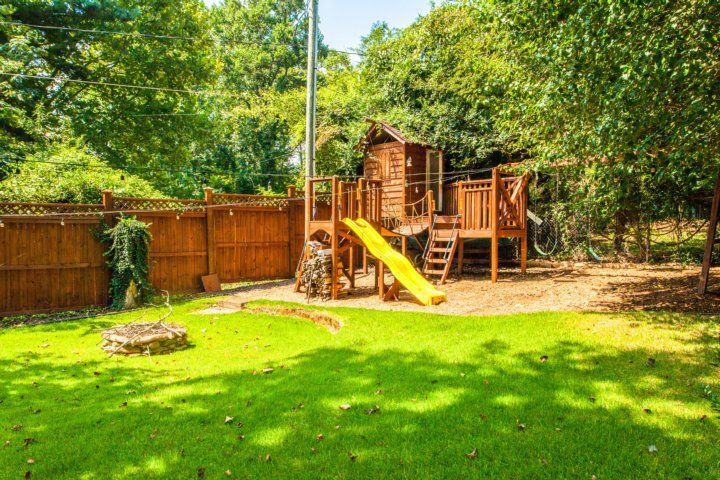 Stretch out in the fenced yard while the kids enjoy the sprawling playground with a clubhouse and swings. A basketball court and a fire pit add to your entertainment options. 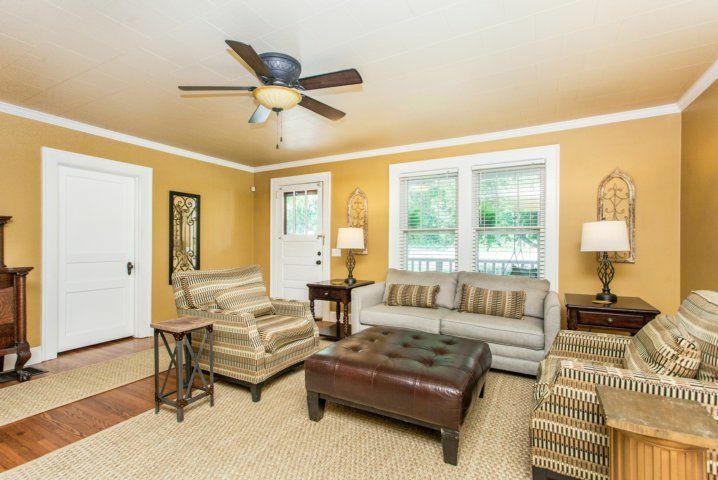 The front yard has a raised bed garden, a stone patio with seating for four, and a romantic front porch with a swing and a ceiling fan. 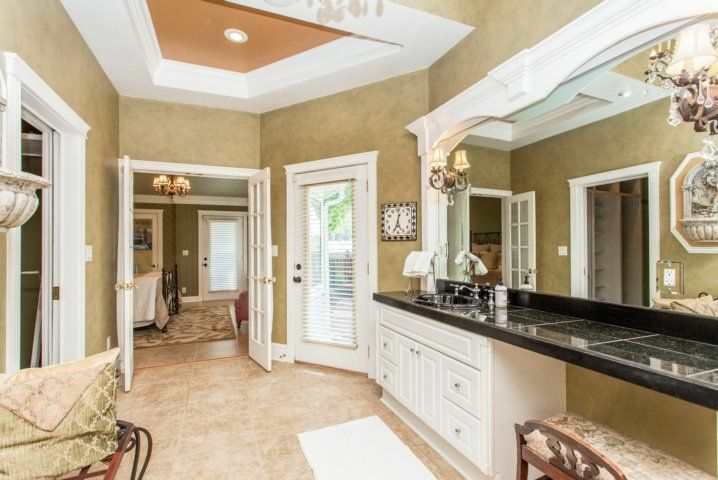 Guest amenities include a laundry room, garage parking for one car, and driveway parking for four cars. Complimentary Wi-Fi is included. Arrive in downtown Asheville in 30 minutes to taste craft beers, experience live music, and visit the historic Grove Park Inn and Biltmore Estate. The Montford lets you take in the sights with a cocktail from their rooftop bar. Hendersonville center is a few blocks from your door ? fuel up at the Dandelion Cafe before heading out to explore Triple Falls at Dupont State Forest in 12.4 miles. The unforgettable Blue Ridge Parkway awaits within a 30-minute drive.